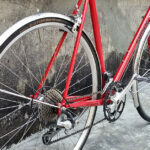 A strong and light cyclist should be able to do it in 8 days. Of course, it all depends how much sightseeing and detours you want to do, but you can easily stretch this to 15 days and you will have something to do on rest days almost everywhere, from hiking, wine tasting, museums, … Also, keep in mind this cycling tour is only a suggestion and it is possible to shorten or lengthen every part. 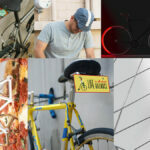 If you are more into cycling light and sleeping indoor, there are plenty of options along the way and most of the time reservation in advance is not necessary, except in the main tourist season (July-August). 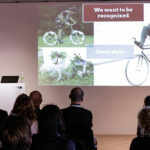 Cycling in Slovenia is possible throughout the whole year, but the best time would be late spring (May, a start of June) and early autumn (end of September, October). Also, a great time is during the summer although it can get quite hot and the problem with sleeping can occur in certain tourist regions. Our recommendation is that you take your time and adjust the path to your own rhythm and fitness. There are a few suggestions about where to sleep and what to see in between. 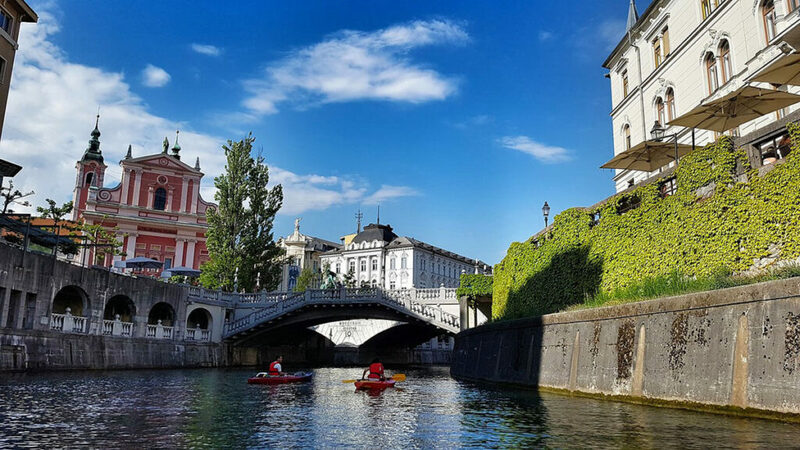 Start and end are in the capital city Ljubljana and you could do the tour in any direction, although in our opinion the cycling is better like we described. Please keep in mind that some of the marked roads are gravel but it is possible to do the whole tour on asphalt. If you need some help or more information, you can also send us an email. 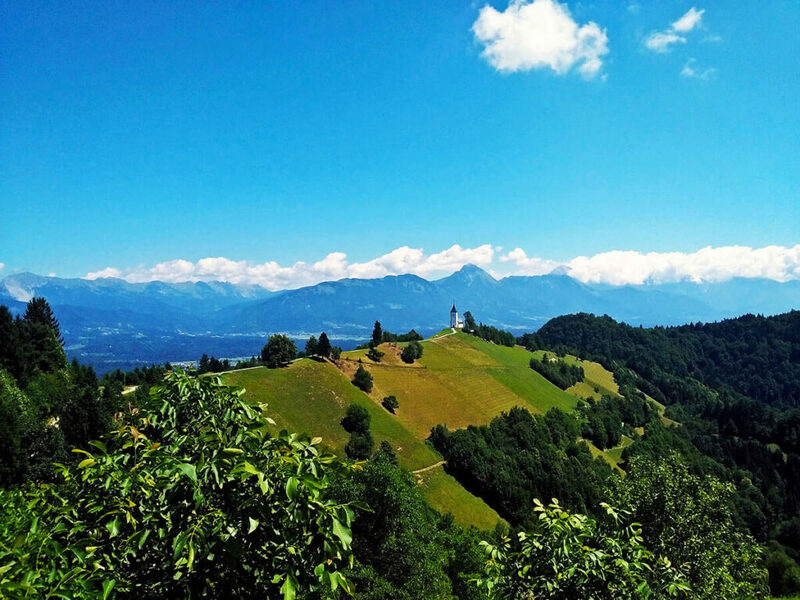 Starting point is in Ljubljana and the cycling will immediately take you to Polhograjski dolomiti park, which will offer you some astounding views. Next stop is historic town Škofja Loka. Then the path leads you towards Železniki where it goes uphill passing the village Dražgoše (2nd world war memorial) and towards historic town Kropa. 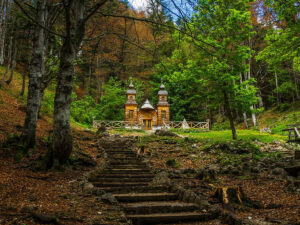 Along the way you will pass one of the most idyllic little churches Jamnik. 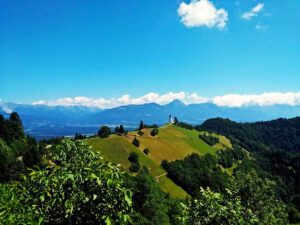 From there you will avoid the main busy road and by gravel road you will reach a very touristic beautiful town of Bled. Again, avoiding main road trough mountain valley Radovna you will reach the mountain region. At the end of the valley you can see Slovenian highest mountain Triglav, if needed you can make a little hike or even get a mountain guide to get you to the top. 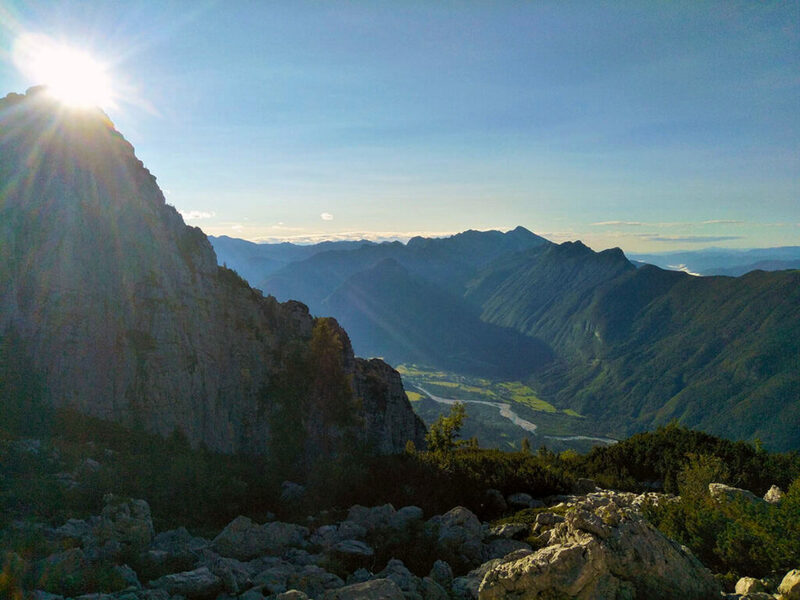 From here you will have a marked cycling route towards popular Kranjska Gora and then on our highest mountain pass 800 meters higher Vršič, aslo very popular for cycling. Around here you can do some easy or hard hiking and sleeping is also possible in many mountain huts along the way and on top. 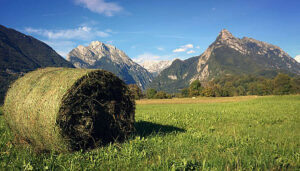 We suggest you check availability in Kranjska Gora. 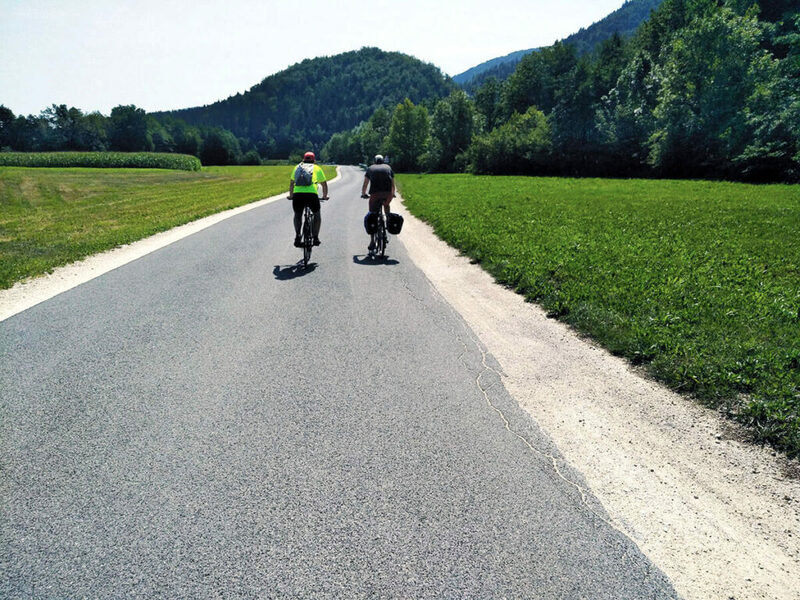 Second day in Slovenia will take you through very idyllic Trenta valley and almost all the time you will be cycling next to the beautiful river Soča. First of all, you have a nice downhill ride towards Trenta valley and this is where you will first see Soča river which will be your companion almost the whole day. There is much to do here from hiking, sightseeing, waters sports, … But keep in mind that during the busy summer season it can get quite crowded and sleeping and eating can get complicated. Even though there are rooms, hotels, camps all the time along the way. 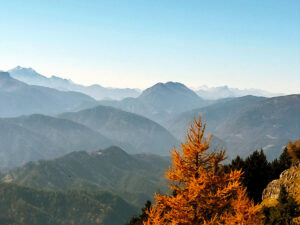 After Trenta, the valley will get a little wider and you will reach the town of Bovec. From here you basically follow the river Soča all the time through towns of Kobarid (1st world war museum), Tolmin, Kanal ob Soči until you depart the river a little before the town of Solkan. From here you will cycle towards the town of Lokve and over the hills in to wine town of Ajdovščina. From Ajdovščina you will cycle through wine country and small old villages such as Štanjel. There are plenty tourist farms along the way so good food is always an option. Since you are cycling trough karst region you can visit world heritage site caves Škocjanske jame From the caves you will cycle on small roads towards Ilirska Bistrica. Here is good to stock up a little with food and plan how to go ahead and where to sleep since the next part of the tour, is quite isolated because it goes through park Snežnik. It is also possible to hike to the top of the mountain. Next larger village is Lož and along the way you will pass Sviščaki (possible to sleep) and castle Snežnik which is worth a visit. Today you will start with the ride through historic city Kostanjevica ob Krki and form here you will cycle to city Krško. From here, cycling will take you close to Slovenian Croatian border towards Podčetrtek. 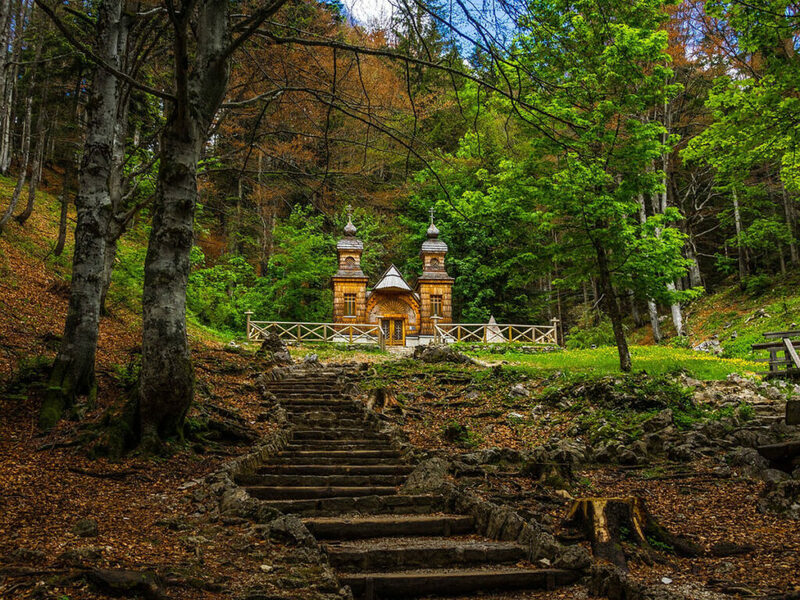 In Podčetrtek there is plenty to do and see, you can have some relaxation in Terme Olimia, visit Monastery Olimje and so on. If you don’t get stuck in the pools, then you can reach the next big city Ptuj which is the oldest city in Slovenia. Along the way the path will take trough wine country, again. Now looking at the map you would be tempted to just head north and would reach city Maribor quite fast, but then you would miss a beautiful part of Slovenia called Prlekija and Prekmurje. 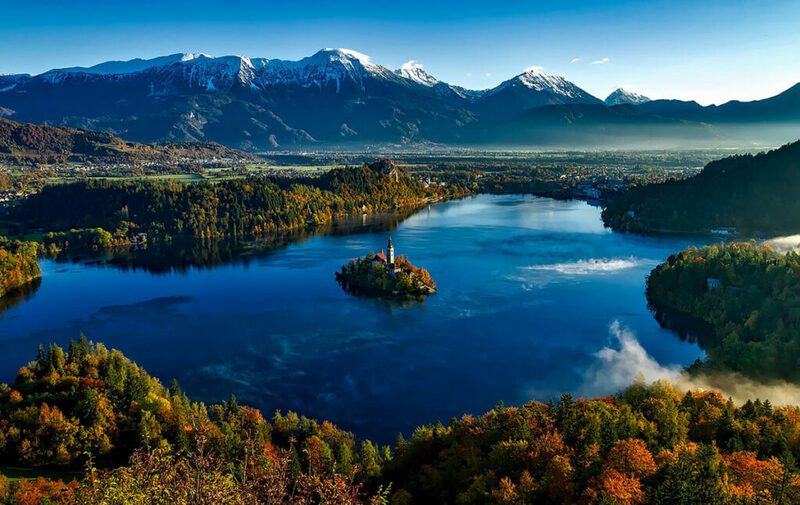 This part is a very popular cycling destination in Slovenia. The path will lead through Jeruzalem, city Ljutomer. The region is full of wine and thermal spas, so enjoy. After this you cross the river Mura and head on north towards Radenci with yet another thermal spa. From here you have to reach the second biggest city in Slovenia Maribor, which is the end of today’s tour. From now on there is no more wine but a lot of luscious forests and hills. This is a big day full of big hills. The first obstacle is right at the beginning, Pohorje. Your objective is city Dravograd and the easiest way is to drive along the river Drava but the road is really not recommended for cycling and to go around is quite a detour. So, the obvious route is across Pohorje through Ribnica na Pohorje and to Dravograd. Now you have reached Koroška region which is full of things to do and has many beautiful cycling paths. 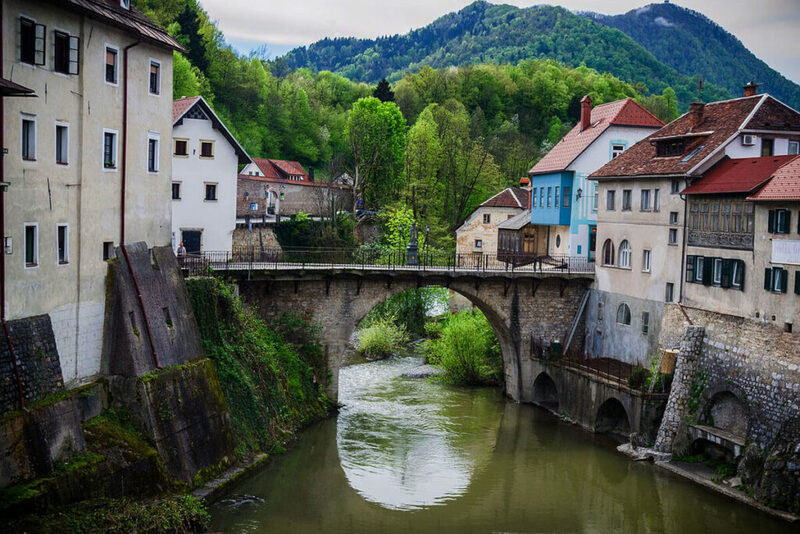 From Dravograd you cycle through city of Ravne na Koroškem towards Črna na Koroškem and along the way you cross Mežica where there was a zinc mine, now converted into a museum, you can even have a cycling tour inside the tunnels (prior appointment needed). From here you will cycle scenic hill roads with mountain farms to Logarska valley. Your starting point Logarska valley is one of the most idyllic mountain valleys in Slovenia, surrounded by mountains and definitely worth a day, for sightseeing and hiking. From here you will have to reach village Luče and then you basically have just one more hill to beat before reaching the capital of Slovenia, Ljubljana. Your goal is to cycle over the mountain pass Črnivec and then down to the city of Kamnik. From Kamnik to Ljubljana there are many ways and the route follows mainly small, more isolated roads and country villages until you reach the end of you journey in Ljubljana.